Business partners Shane Rougemont and Tim Weiers are shown inside Red Mountain Autos, a new, used car dealership that’s opening this week in the same Silverthorne building where Hudson Auto Source used to be. A man was injured after a confrontation with a moose and her calf in Breckenridge last week. Officials said witnesses reported seeing a man walking his dog with a retractable leash come to an impasse with the moose. The standoff lasted between five and 10 minutes before the cow charged at the man and his dog, knocking him over with minor injuries. Following the incident, both the moose and the calf were tranquilized and relocated to a habitat away from people. Breckenridge Ski Resort announced that its extended ski season will include approximately 1,000 acres open across Peaks 6, 7 and 8, before closing Memorial Day. There will be no beginner terrain and only intermediate to advanced terrain open for late season skiers, as weather conditions permit. The BreckConnect Gondola will not operate for public use this May in accordance with the resort’s gondola operations agreement with the town of Breckenridge. The town will provide complimentary bus service to transport skiers and riders between Breck Station and Peak 7. The Peak 7 base area will serve as the hub for all spring operations. Last week Vail Resorts confirmed its sale of the Village Hotel in Breckenridge to Colorado-based Gravity Haus. The agreement states Gravity Haus is reportedly buying the hotel and Vail Resorts will manage it under a long-term agreement. The property is expected to be fully renovated and rebranded as “Gravity Haus,” a new hotel and membership concept that is expected to debut next winter. Vail Resorts says the remodeled hotel will feature a prominent backcountry center, gear rentals, lockers, a flexible new lodging model for groups and international visitors and a Japanese onsen-inspired spa. 4. Colorado lawmakers reach deal to spend $300 million on transportation. Now what? Democrats and Republicans in the Colorado Legislature have reached an agreement to allocate $300 million for transportation in this year’s budget package, but it’s unclear what will be cut in order to make that spending possible. The deal was reached as the House was debating the state’s $30.5 billion budget and after the Senate agreed to spend an extra $106 million on transportation on top of the initial $230 million that was set aside. Story from The Colorado Sun. Red Mountain Autos officially opened its doors inside the same Silverthorne building where the Hudson Auto Source dealership once was. 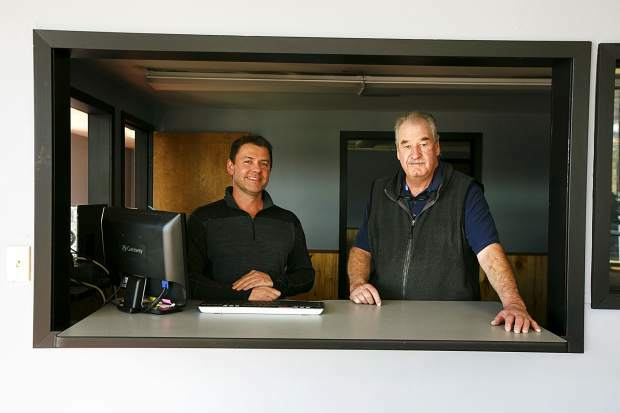 At 441 Blue River Parkway, the new, used-car dealership and service shop is the product of Tim Weiers and Shane Rougemont — two business partners who between them have decades of experience in car sales, financing and the automobile industry. The owners say they want to be a place where locals can buy used cars at affordable prices instead of having to go to Denver. Once stocked, Red Mountain Autos will carry all different sorts of makes and models of vehicles, including everything from cars in the $2,000 price range up to high-end SUVs like Cadillac Escalades and Range Rovers.